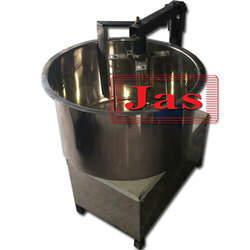 This is a High-Speed Electric Batter Mixer to mix ingredients to prepare the batter for production of cones. 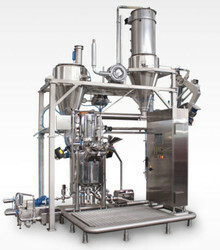 The BM - 60 is most suitable and efficient mixer to mix the liquid batter for Wafers and Ice Cream Cones. These machines are supplied with compete stainless steel shaft with tank capacity 60 litres. The BM - 120 is most suitable and efficient mixer to mix the liquid batter for Wafers and Ice Cream Cones. These machine are supplied with complete stainless steel shaft with tank capacity 120 litres. be side it mixes uniformly and very quickly.